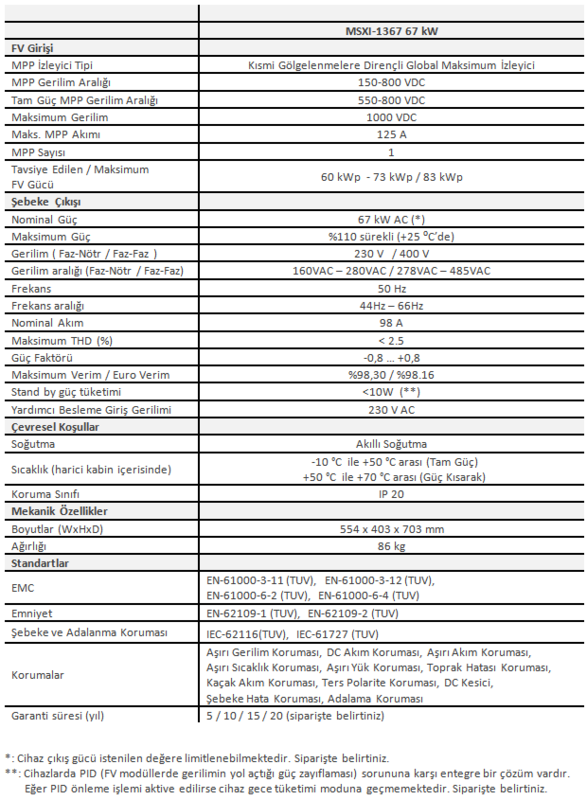 With many years of R&D experience, Mavisis has developed MAVI SOLAR MODGES central photovoltaic inverter system. 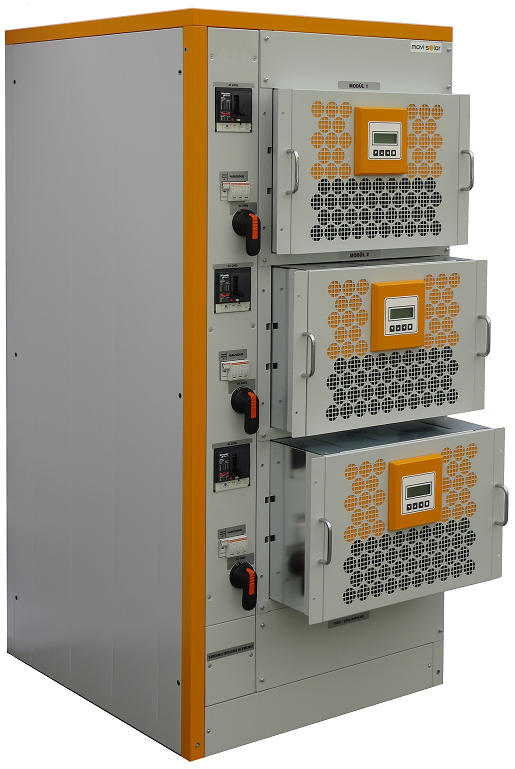 MAVI SOLAR MODGES photovoltaic inverter system combines successfully both the price advantages of central inverters and the control capability of string inverters at string level by providing high efficiency, high availability and reliability. Innovative and modular concept of MAVI SOLAR MODGES provides the optimal solution for solar power stations of future. cable cost by 40 % and cable losses up to 100 %. conventional, economical, compact MV transformers or to the existing MV transformers in the plant. 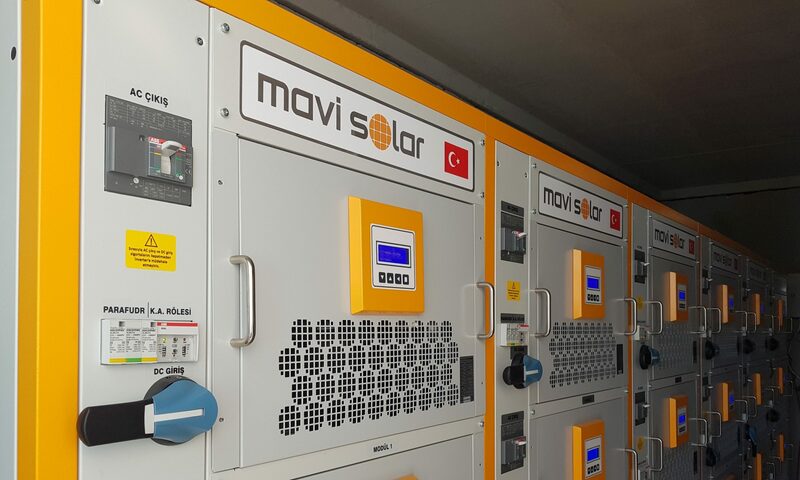 Photovoltaic power stations, starting from 200 kWp up to MW power levels, can easily be designed by using the 67 kWp inverter modules, which is the MAVI SOLAR MODGES concept. By features of modularity, it is possible to obtain high availability, reliability and performance very easily. MAVI SOLAR MODGES concept simplifies the tasks of system integrators and customers. 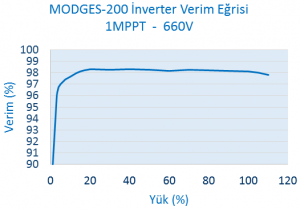 Photovoltaic projects are so easy now with MAVI SOLAR MODGES.